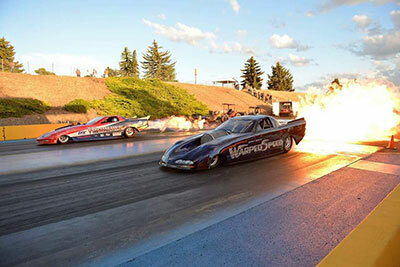 This coming Wednesday, the 4th of July, at Spokane County Raceway, legendary drag race impresario Bill Doner presents the Nitro Fireworks Spectacular with the world's fastest heritage funny cars and nitro jets side by side. At 80, Doner, who is in the International Drag Racing Hall of Fame, is still going as strong as the dragsters he promotes. There's a huge fireworks display and rock music as well. Qualifying noon to 3pm, racing at 6. Tickets are available at the gate. In its second year, Crave is the Inland Northwest's premier food and drink event. It's July 12-15 at Spokane Valley's Center Place. On Friday July 13, the wineries of the Cork District will partner with chefs and culinary professionals to create unique pairings for Foods from Around the World night. This is the one time this year that all Cork District wineries will be at one location. For more information and a schedule of events, visit cravenw.com. 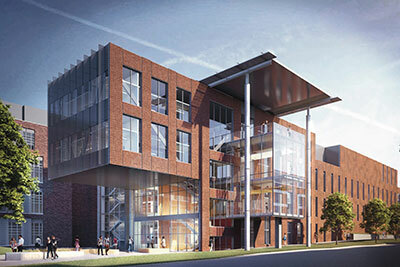 Washington State University has broken ground for the Plant Sciences Building, a new state-of-the-art home for research in Washington. The fourth of six planned buildings in the V. Lane Rawlins Research and Education Complex on the Pullman campus, the $52 million Plant Sciences Building was approved by the Washington State Legislature this year. The four-story, 95,000-square-foot building supports Washington's $51 billion food and agriculture industry by providing a modern research venue for faculty and students in plant biochemistry, plant pathology, horticulture, and crop and soil sciences. Currently, these programs are located in Johnson Hall, built in 1959, and Clark Hall, constructed in 1971. Old World Christmas starts its Christmas in July sale at their Factory Outlet store, this Thursday, July 5, running through the month. Beautiful ornaments of all kinds are available below wholesale prices. The Factory Outlet store is located at 4005 E Main, between Freya and Havana. Hours for the July sale are Monday through Friday, 11am to 3pm. For more information, call 509-532-7445, and you can find the Outlet Store on Facebook. The Grain Shed, a bakery and brewery just opened at 1026 E. Newark Avenue on the north end of the South Perry Business District. This unique business is a joint venture between bakery Culture Breads and Grain Shed Brewing. Culture Breads bakes breads, pastries and pastas with ancient grains, stone ground to preserve nutritional value and flavor. They ferment the dough, extruding pasta through brass dies - to create products that are healthy, and delicious. 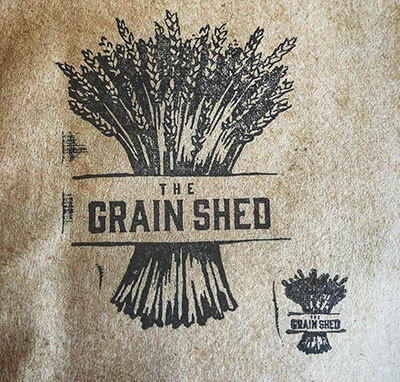 Grain Shed Brewing specializes in exceptional beers made exclusively from rare grains and ingredients that are locally grown and malted right here in Spokane to be unique, flavorful and incredibly drinkable. Along with growers, they are working to craft styles of beer unique to this magical grain-growing utopia we call the Inland Northwest. For more information go to thegrainshed.coop. The Greater Spokane River Watershed Regional Conservation Partnership Program is currently seeking applications for the Healthy Forest Reserve Program (HFRP). HFRP helps landowners restore, enhance and protect forestland resources on private lands through easements and financial assistance. HFRP is intended to aid the recovery of endangered and threatened species under the Endangered Species Act, improve plant and animal biodiversity, and enhance carbon sequestration. The program is available to private forest landowners in the Spokane River Watershed, which is located in parts of Whitman, Lincoln, Spokane, Stevens and Pend Oreille Counties in Washington, and parts of Latah, Bonner, Benewah, Kootenai, Shoshone and Clear Water Counties in Idaho. Natural Resource Conservation Service holds the easement and also provides funding for specific forestry restoration, enhancement, and habitat management practices. In addition, the practices adopted under the HFRP restoration plan may be the basis for the landowner to obtain safe harbor assurances under The Endangered Species Act. To learn more or access online application materials, visit www.SCCD.org/HFRP. 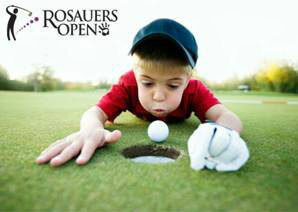 The 31st Annual Rosauers Open and Franz Bakery Pro-Am Golf Tournament, benefitting Vanessa Behan Crisis Nursery, is coming July 11-15 and they urgently need more than 100 volunteers. Volunteers are a vital part of this tournament which helps support the mission of the Crisis Nursery. The Rosauers Open and Franz Bakery Pro-Am Golf Tournament is crucial to helping the Nursery meet its nearly $2.2 million annual budget. Since 1987, this tournament has contributed over $2.8 million to support the mission of the Vanessa Behan Crisis Nursery, so please lend a hand if you are available. For more information, and to volunteer, visit www.vanessabehan.org/upcoming-events. "You have to be able to accept failure, to get better."